I’m pleased Ruth stopped by to answer my 8 questions. She is one of my Friday Snippet’s partners in crime and the author of the fantasy novel Earth Angel. 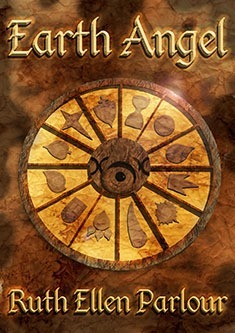 Epic, entertaining, and fast-paced read, Earth Angel could be yours. Just enter the Indie Giveaway. When you were a kid you wanted to be…? A few different things. I wanted to live on a farm so I could have lots of animals. But I’ve also always wanted to be a writer. The first book you read was…? No idea what the very first book was. Possibly the very hungry caterpillar. I was very fond of a book called My Zoo and The Big Blue Balloon. You discovered you were quite good at writing when…? I used to write stories about horses going on adventures with a typewriter when I was about 8 years old and make my own illustrations. I’ve always loved to write whether I was good at it or not! As a reader, your favorite genre is…? No, really, what’s that title you’re hiding in your kindle…? I have my own book on my Kindle. Nothing unsavoury though. I write fantasy mainly but recently I’ve written two sci-fi short stories. I love writing about flawed heroes and strong women. I like my characters to change and develop through the story. The praise about your writing you like the most is…? I love when people ‘get’ my characters and when they say how much they loved them, and want to know more about them. Mostly I just love it when people enjoy my stories. Well, I’ve just now entered one of my shorts in a competition. I’m going to try and enter another competition but need to chop 1,000 words of my story to fit into the parameters of the competition! I’m writing some short stories based in the world of Earth Angel and eventually, I’ll get back to work on my new novel waiting in the wings. Eardesha is protected by the twelve Gods and their Earth Angels. Fighting against her destiny as an Earth Angel, Faith is returning to the temple for her lover who she had to leave behind. Gabrielle, a criminal, escapes from prison only to be guided back by the God’s to help Faith stop a war. Threatened by invasion from the Krieger, Eardesha’s military trains convicted criminals into a brutal and disposable army. Gabrielle and Faith discover a power the Gods have kept secret for thousands of years, a secret that would change the future of Eardesha, and use it to stop the war. 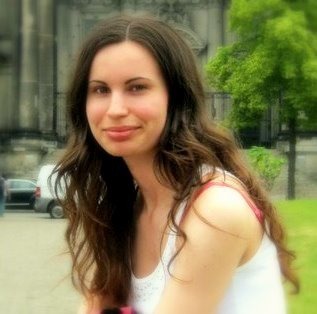 Ruth is an independent author of young adult fantasy. She is in training to be a crazy bunny lady, currently owning one chubby lop called Bandit.